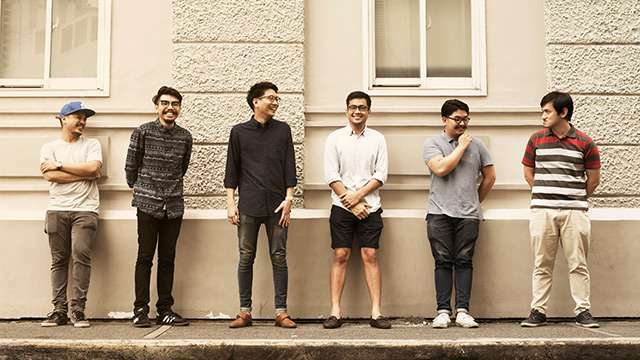 Hits from Orange & Lemons, Ang Bandang Shirley, Autotelic, and more! Seriously, anyone else who uses the phrase “OPM is dead” should be the one rotting now. In reality, what you usually see on your favorite Sunday afternoon variety show, or even what you hear on your daily top ten round up, are merely only a quarter of the OPM scene. If you want to experience and know the true OPM happenings, an immersion is the solution. Explore your Spotify feed, attend gigs—there's so much talent to discover! Speaking of talent, we’re pretty goddamn stoked about The Rest Is Noise Year-End. The Rest Is Noise Year-End is a multi-genre event that celebrates local music. It will bring together 20 acts for one special last show for 2017. 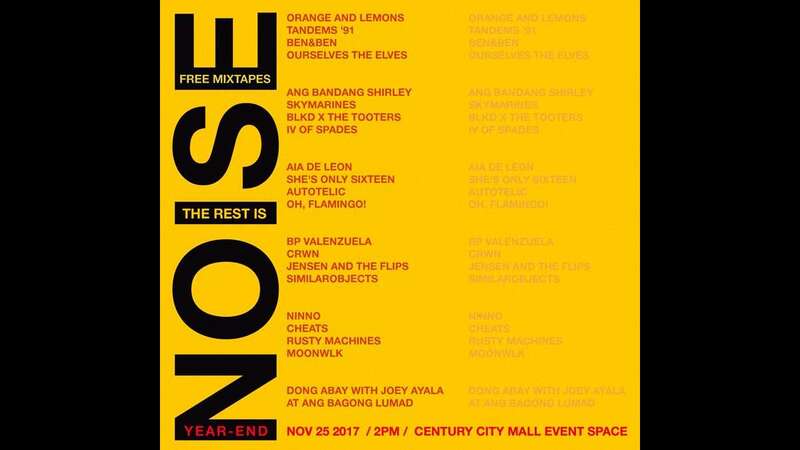 This 12-hour live music experience will happen on November 25 (Saturday), 2:00 PM, at Century City Mall Event Space in Makati City. From Orange & Lemons to Ang Bandang Shirley, Autotelic to Aia De Leon, this year’s lineup is WILD. As such, we thought we’d round up all the songs we can’t wait to hear on the gig day itself. Let this be your playlist for today! Though they are one member less, we are still excited to hear the trio of Clem Castro, Ace Del Mundo, and JM Del Mundo sing this all-time favorite. Umuwi na sila, baby! If you need some chill, funky vibes, Manila based producer CRWN’s got your back. Warning: Extreme head bopping once you hit play. Sing along to this while you look at your girlfriend’s eyes. Feels like home, eh? Ready the “mush” pit! This dream-pop tune by Isa Aniga AKA Skymarines will bring you to a trance, all while making you feel as if you’re floating in your own world. If you’re looking for an upbeat beach-slash-break-up anthem, this one is for you. Raise your fists! This one’s our favorite protest song as of the moment. Read our review of this song right here. Heart-wrenching, soul-crushing, don’t listen to this if you are nursing a broken soul FYI. Listening to this “will make you wanna…” just like what the song says. Perfect for your walwalan or chillnuman nights with the barkada! Now, this one’s not for the faint of heart. She's Only Sixteen certainly makes us believe that OPM is in perfect condition. Everyone’s obsessed with BP for a reason. 16) “Inconsistencies” by Oh, Flamingo! Intro pa lang, ulam na. You never heard Mariah Carey’s “Heartbreaker” this way before. Reserve this one for those gloomy, rainy nights alone.